That’s right, 12 days, 12 albums that are guaranteed to have you rockin’ around your Christmas tree. Or chugging spiked eggnog. Whatever your style, crank up the speakers, squeeze into the tackiest Christmas sweater buried in the recesses of your closet, and check out some holiday tunes. A few weeks ago I found a stack of records tucked away in an old Rubbermaid container. Among them was the 1972 A Partridge Family Christmas Card, album. You may recall the kinda cheesy but lovable show about a musical family with a school bus for transportation. Well, apparently they lurched into the holiday spirit. How’s it sound? Pretty damn good, and I hate to admit it, especially to my Partridge Family-adoring mother. 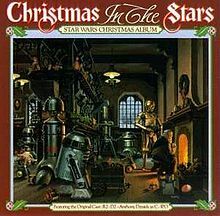 As a family tradition, we’d always listen to this album, albeit on cassette tape, while decorating the tree. When I was a kid my favorite track was the unofficial 12th song, “My Christmas Card to You,” recorded on a higher BPM so as to lend the Partridge Family a Chipmunks quality. Looks like my dad held the same opinion of the Partridge Family that I did. I finally decided to offer the album an unbiased play through, and have to admit David Cassidy and crew crafted a well-rounded, refreshing holiday compilation. 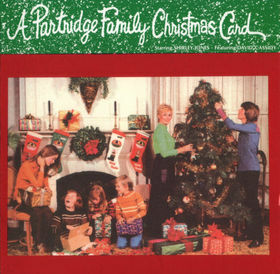 A Partridge Family Christmas Card opens with the titular track “My Christmas Card to You.” Like the rest of the album, David Cassidy plays the prominent lead vocalist, with his family providing accompaniment. The thought of my entire family in such confined studio space haunts me, but I suppose Cassidy wasn’t related to the Ghosts of Christmas Past, Present and Future. “My Christmas Card to You,” as can be inferred from the name, is a sort of vocal Christmas card. Cassidy wishes Merry Christmas to his listeners. Considering his fanbase at the time of release, this probably consisted of gaggles of teenage girls. It’s a creative song, and the only original track on the album. Partridge Family female members provide some great backing vocals. From here, the album progresses as a string of well-known holiday favorites. While the tunes might not be original compositions, their execution is unique. And let’s be honest, how many Christmas albums feature completely new songs? Instrumentation remains fairly minimalist. You’ll hear strings, drums, some brass and the like, but songs rely on backing vocals heavily. Naturally the “Partridge Family*” members grab mics and contribute to the effort. Sure, you’ve heard “White Christmas” loads of times, but the Partridge version adds small repetitions of “bum-bum-bum” to Cassidy’s upbeat singing. “Santa Claus is Coming to Town” adds echoes from the “fam”. There’s a real ‘70s vibe to the entire project. If you’re a Partridge Family fan, this is a must have album. Casual listeners and those formerly unaware of the Partridges should check this out as a refresher from the traditional Nat King Cole (no offense Nat) and Johnny Mathis tracks. 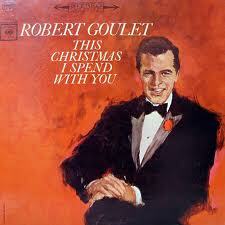 Tune in tomorrow for another Christmas album, and until then stay warm and out of trouble. *While you might assume the backup vocalists to be the Partridge Family, the only members on the album are David Cassidy and Shirley Jones.